By focusing on variegated demands of our respected clients spread all over the country, we are offering Meenakari Pendant Set that is widely acclaimed for its glossy finish at parties and weddings. 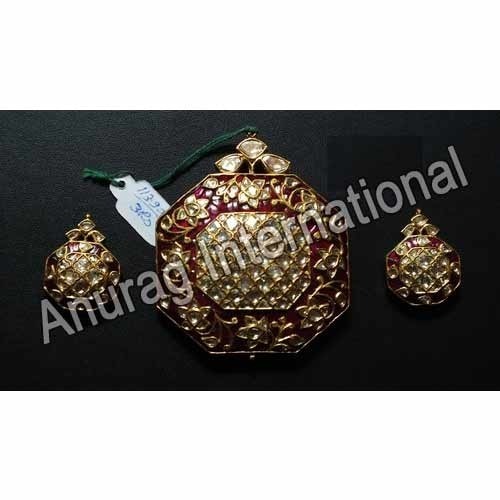 The offered pendant set is delicately designed at par with set standards of quality under the direction of our expert personnel using latest technology. Our pendant set is provided in customization options as per specific requirements of our clients. This pendant set is checked by experts in order to guarantees its quality.